Follow the onscreen instructions for the following moves. What if I tell you that you can now build your ben 10 heroes for the Omnitrix? Exciting, right! 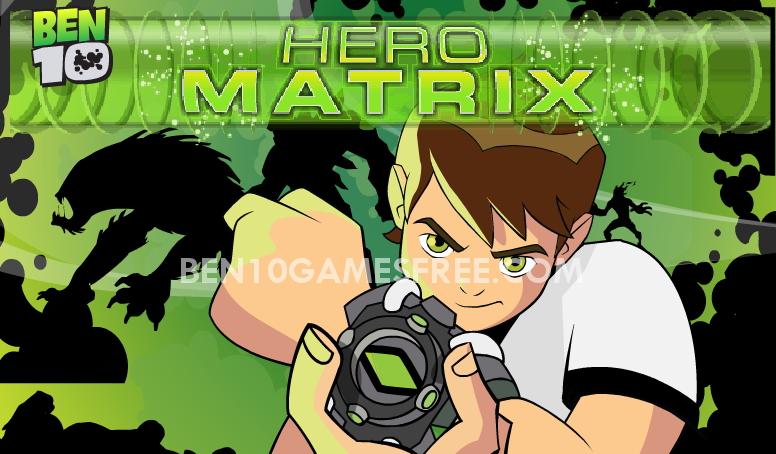 Guess what, now you can do so with the latest game that we bring for you – Ben 10 Hero Matrix. Show your skills to make the more powerful and deadly ben 10 hero aliens now! We all are familiar with Omnitrix and its power to make Ben transform into 10 different powerful alien heroes. In Ben 10 Hero Matrix game, you can program and create new ben 10 aliens in the Omnitrix. Isn’t that awesome? But before that, you must learn how things work here. So, you better read the gameplay section below! Recommended: Play Ben 10 to the Rescue game online for Free! Ben 10 Hero Matrix game one of a kind ben 10 games that let’s you create your own ben 10 aliens which are categorized into three main categories given below. Creating a brand new alien is pretty easy in this game. To begin with, you must choose one of the three types as listed above. According to your choice, a random alien form will appear which you can customise completely from head to tail. You might ask, How? Well, the powerful Hero Matrix is with you where you can choose and program all the parts of your new ben 10 alien. Below are the parts that you can totally customise in shape, color and even texture too. All you need to make it better is present in the Hero Matrix besides you. Like if you want to change the head of your alien, select ‘Head’ and then choose the shape of the head that you like. Whatever you choose, you can see it change live in your alien. Not only shape, you can also customise the colors. There are two rings of colors around the Hero Matrix machine from where you can choose a variety of colors. Pro Tip: Try the Randomise feature to get an instant alien ready for yourself. After you’re done editing your alien, you can name it in three words using the Alien name generator device. In the end, you have two options, either you can save your new alien hero to the Omnitrix or can directly print it out and share with your friends! That’s all guys. Now, get started and make some new powerful Ben 10 aliens of the future! Show your skills to make the more powerful and deadly ben 10 aliens with the Hero Matrix! Good Luck!! Don’t Forget to give your rating for Ben 10 Hero Matrix game and share your tips and tricks to win this game in the comments section below.